Rebecca Bycofski. Rebecca is pursuing a BS in Mathematics and a BA in French. One of Rebecca's superpowers is telepathy which she uses to understand students on the fly and to help them by asking follow up questions that bring out all the math super strengths in them. She has participated in internships in the Navajo Nation Math Circle and she is a great facilitator in the Math League. We are lucky to have her in our team! Rebin Muhammad, M.S. Rebin is pursuing a PhD in mathematics. Rebin's superpower involves being able to "fly" around the room helping Math Leaguers as they need it. A native of Kurdistan, Rebin is planning a Math Circle there when he returns. 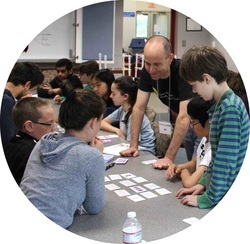 Rebin has far more in store for Math Leaguers and will be facilitating some amazing lessons. "Javier" Ronquillo-Rivera, M.S. 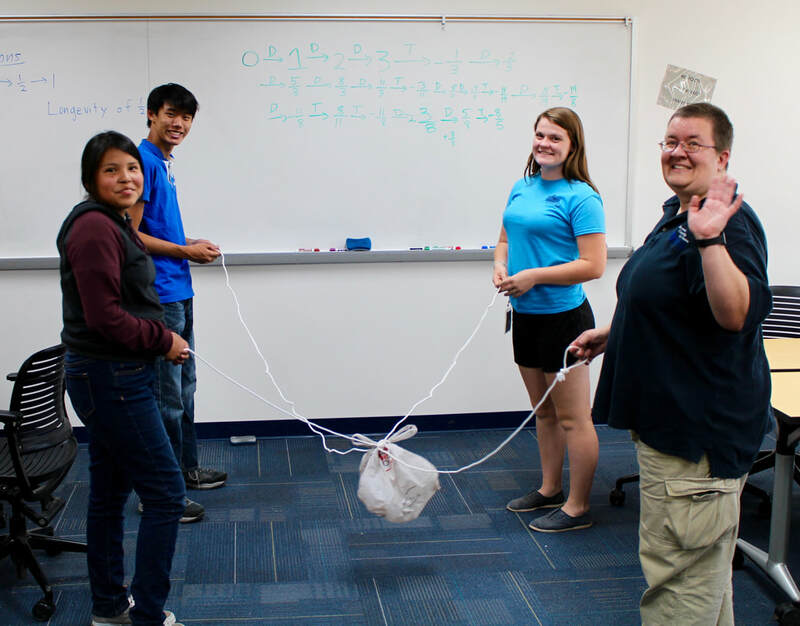 Javier is pursuing a Ph.D. in mathematics and has been both a competitor and coach for the Guatemalan International Mathematics Olympiad team. 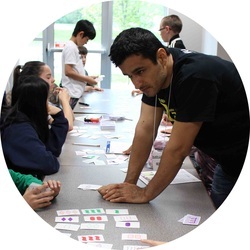 He is passionate about mathematics and combines his talents for mathematics and theater by making engaging, incredibly fun mathematics activities. He's folded singing, dancing, running around, and lots of laughter into Math League activities. Southeast Ohio Math Leaguers are lucky to have this gifted facilitator helping to guide the Math League. "BK" Dr. Bob Klein. Associate Professor, Ohio University Department of Mathematics. He lives and works in Ohio's Appalachian foothills, where he researches rural issues in mathematics education as well as issues of motivation and persistence. He is co-founder of the Southeast Ohio Math Teachers’ Circle (for grades 3-8 teachers) and the Math League Math Circle. He also co-directs the Navajo Nations Math Circle. Bob works with the Ohio Department of Education and the Ohio Board of Regents on a number of projects including Ohio's Educator Standards Board. 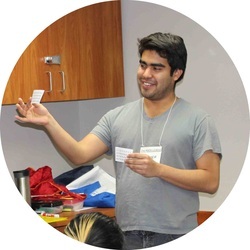 He has worked to establish math circles in Guatemala and Nepal and presented at math circles in Albuquerque, Tulsa, Shreveport, Cincinnati, Kathmandu, and Quetzaltenango. Plus Many many other superheroes who volunteer their time to be a part of the fun. Contact us to figure out how to join our volunteer ranks!